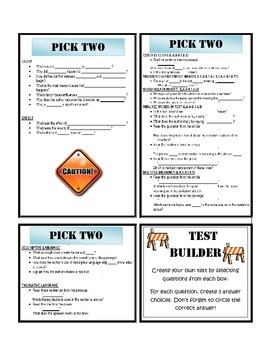 This product offers a "constructive" way for students to build their own test. It utilizes standardized question stems to guide the students in their development. Used with almost any text, this product gives students simplistics guidlines for constructing their own test based on what they read. Highly effective for engaging students in higher level thinking.